Fox News Anchor Jesse Watters’ divorce with his wife Noelle has been finalized. It is alleged that 40-year-old Watters parted ways with his wife Noelle after he admitted having an affair with the producer of his show “Watters World,” 26-year-old Emma DiGiovine. Watters and his ex-wife were scheduled to appear in court on March 20, 2019, in Suffolk County, New York. However, they did not show up for the divorce trial because they worked things out. A court spokesperson told the Daily News that the couple called the court to cancel their appointment as they had settled their case. The couple has twin girls, and the settlement of their divorce has been kept confidential. Court documents disclosed Noelle requested Watters pay her legal bills. It is unclear if the judge granted her request. 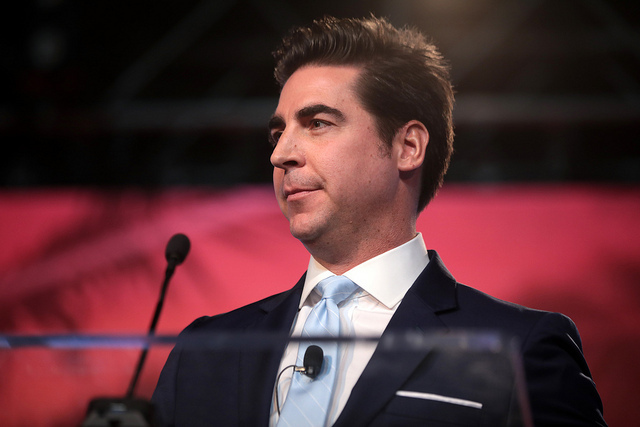 Watters is a star at Fox News and has been to the White House to dine with Trump. He is one of the many Fox News anchors who have an allegiance with Trump. On March 19 Trump tweeted a clip from Watters show, where he was bashing news media saying that Trump had every right to say the news is fake and it is the enemy of the people. Trump responded by saying that he could not have said it better.